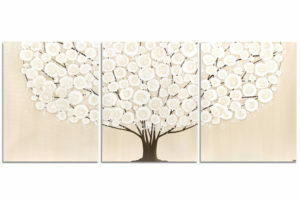 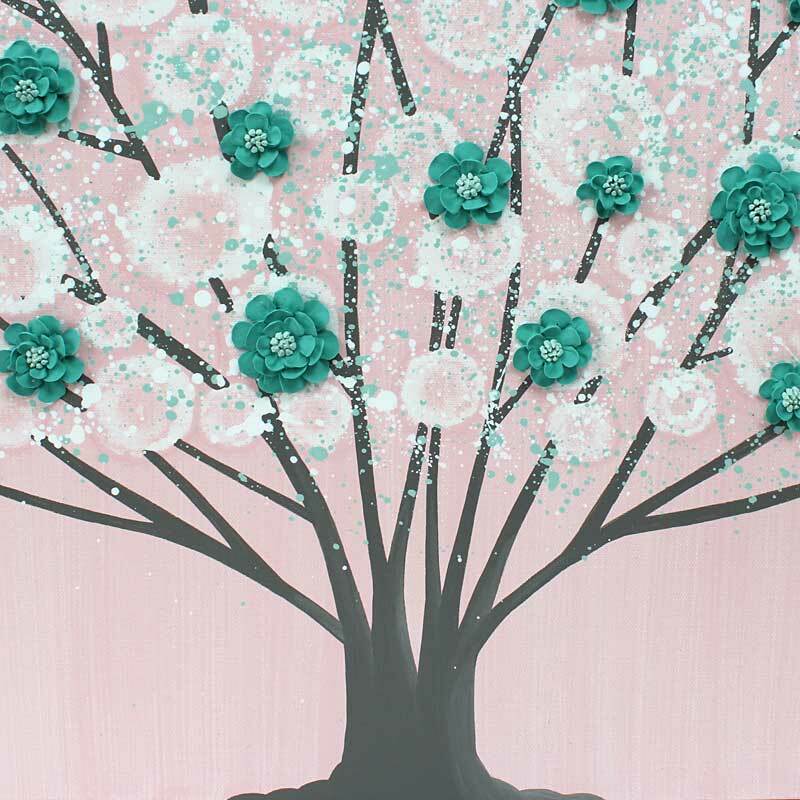 This wall art tree is designed by Amborela to coordinate with a baby girl’s pink and teal nursery. 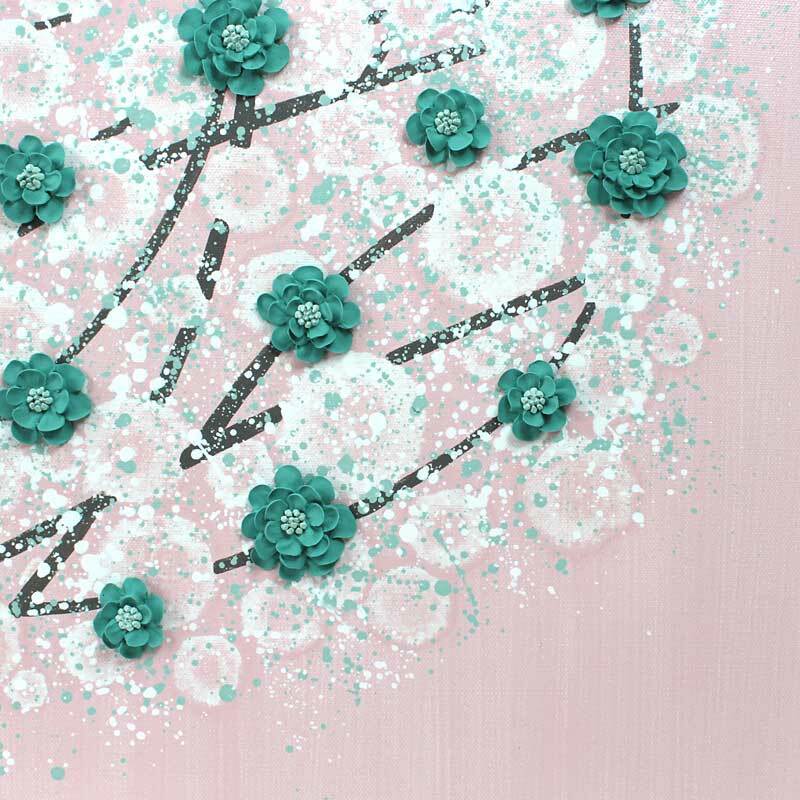 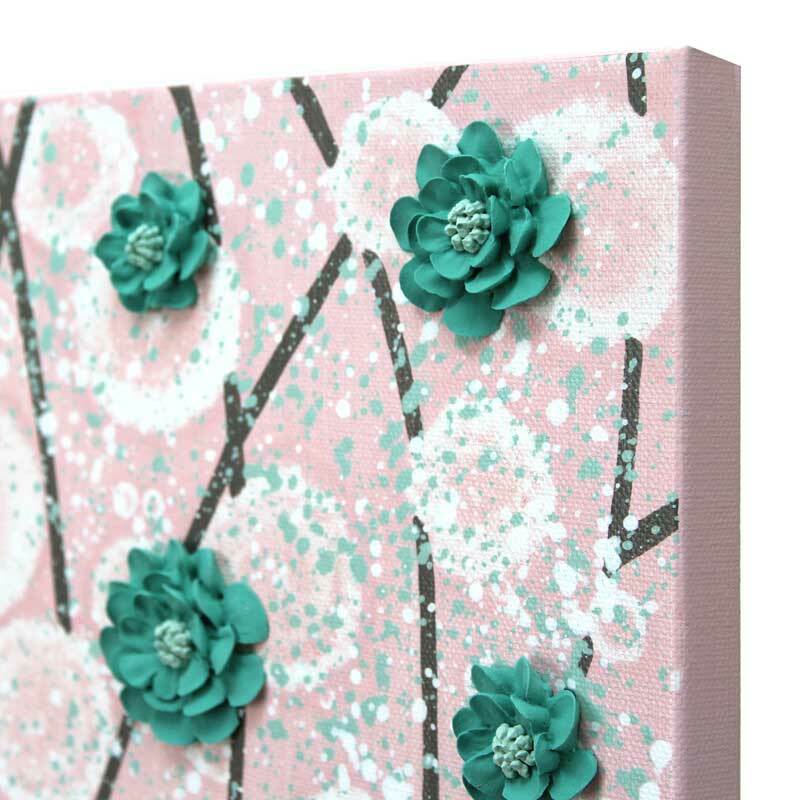 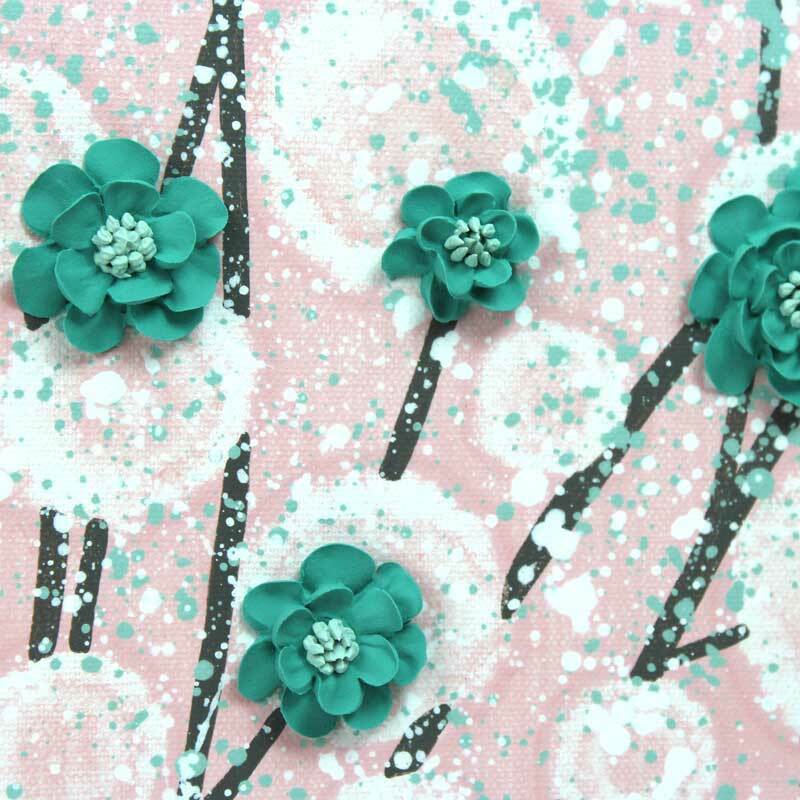 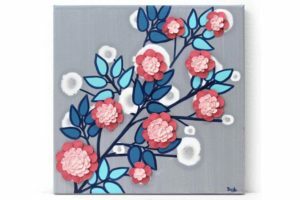 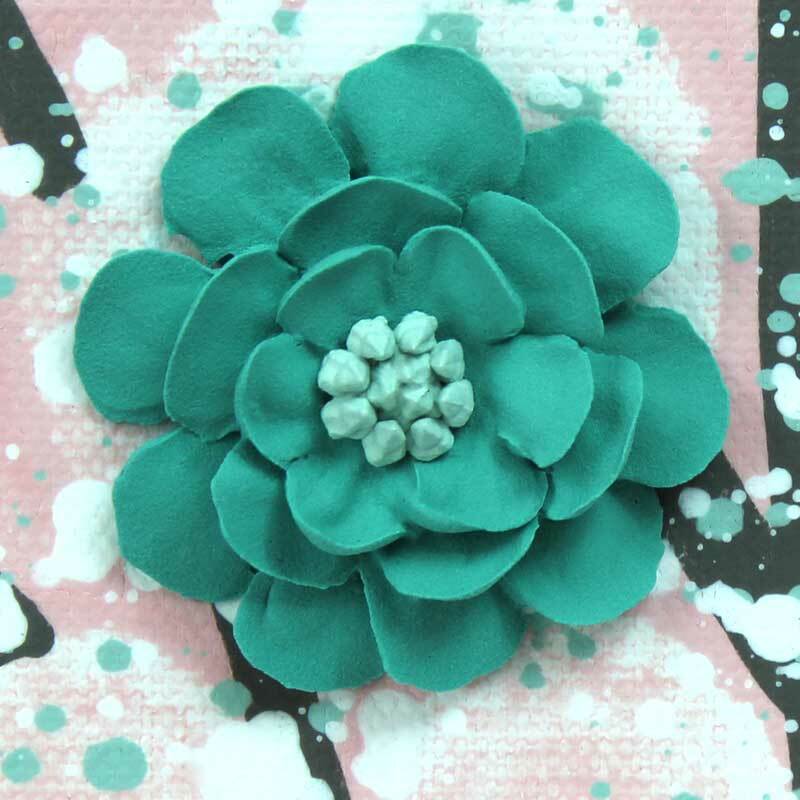 The tree is blooming with hand-sculpted flowers in two-toned teal. 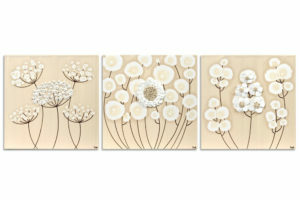 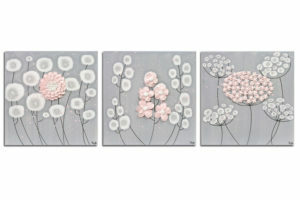 Coordinates well with white or gray nursery furniture finishes. 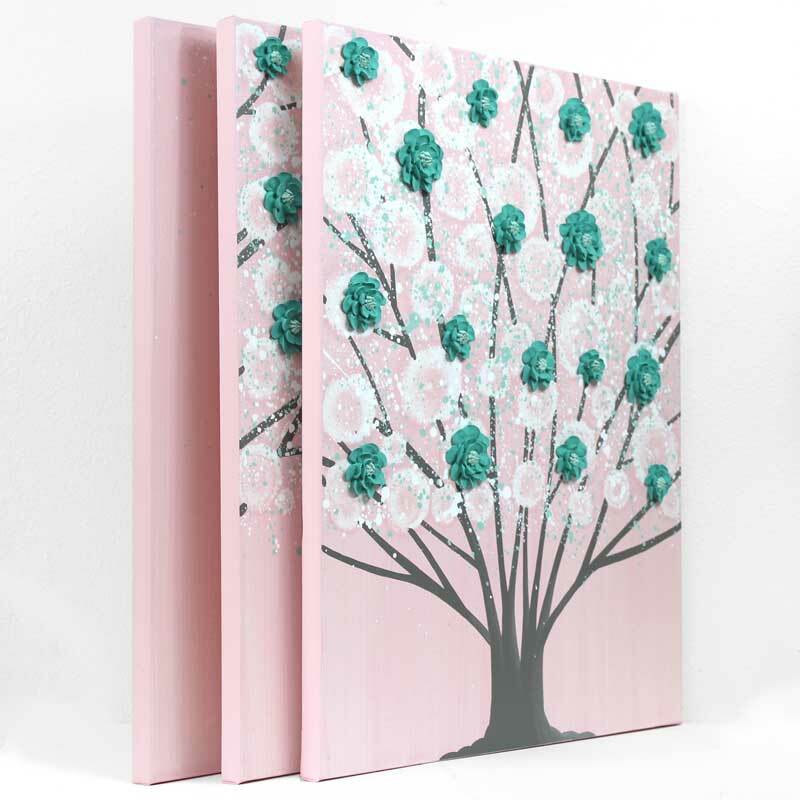 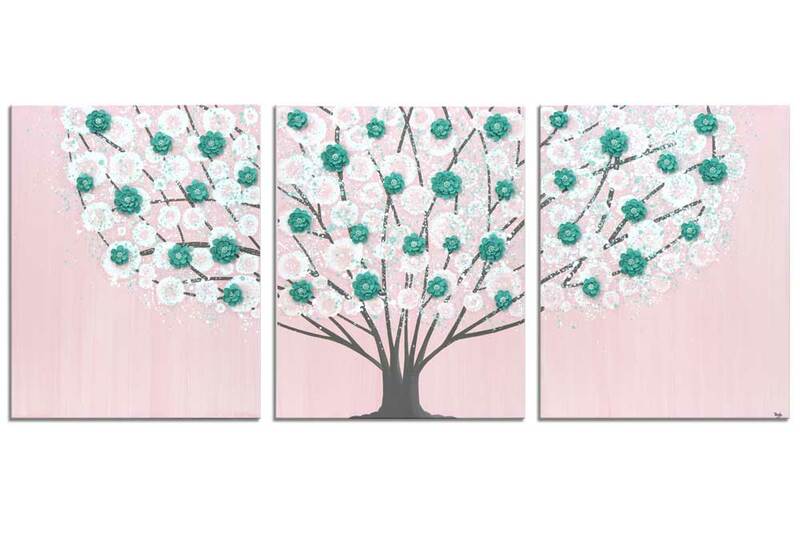 If you painted your nursery walls pink, try the teal and pink tree painting instead.